Subtle details make this feminine ring stand out from the crowd. 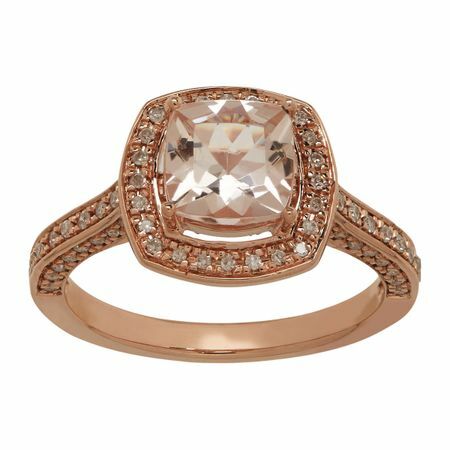 A 1 1/2 ct cushion-cut natural morganite is framed by round-cut diamonds with additional diamonds on the underside of the gallery for a total weight of 1/4 ct in 14K rose gold. Ring face measures 7/16 by 7/16 inches.